The Dummer Beagles..Steven Duckmanton with hunting horn and whip. It's unusual, but up to two and a half brace of hares have been culled in a day. 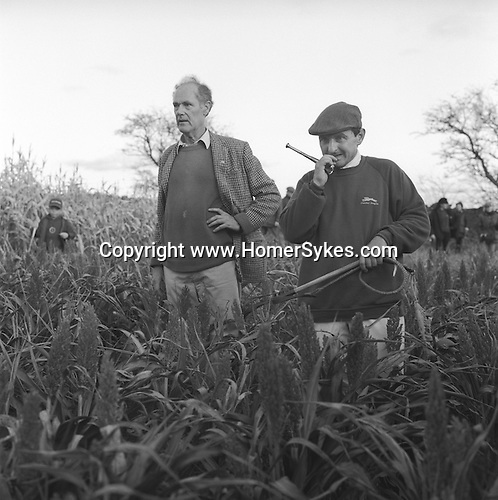 Manor Farm, Upper Slaughter, Gloucestershire.Hunting with Hounds / Mansion Editions (isbn 0-9542233-1-4) copyright Homer Sykes. +44 (0) 20-8542-7083. < www.mansioneditions.com >.